Heated Leather Seats, Sunroof, NAV, All Wheel Drive, Rear Air, Power Liftgate, HEATED FRONT SEATS W/ARMRESTS & STEER... M SPORT PACKAGE, REMOTE ENGINE START, FRONT & REAR HEATED SEATS, Panoramic Roof, Back-Up Camera, PREMIUM PACKAGE 2, Turbo. xDrive50i trim, Phytonic Blue Metallic exterior and Cognac Vernasca Leather interior. KEY FEATURES INCLUDE Navigation, Back-Up Camera, Leather Seats, Panoramic Roof, All Wheel Drive, Rear Air, Power Liftgate, Premium Sound System, Satellite Radio, Dual Zone A/C, Cross-Traffic Alert, Hands-Free Liftgate, Blind Spot Monitor, Smart Device Integration, Heated Leather Seats Rear Spoiler, Sunroof, Turbocharged, iPod/MP3 Input, Onboard Communications System. OPTION PACKAGES M SPORT PACKAGE M Sport Exhaust System, Adaptive M Suspension, Without Lines Designation Outside, Shadowline Exterior Trim, Aerodynamic Kit, High-Gloss Shadowline Roof Rails, Aluminum Tetragon Interior Trim, M Steering Wheel, Wheels: 20 x 9 M Star-Spoke Bi-Color (Style 740M), Tires: P275/45R20 Run-Flat AS, PREMIUM PACKAGE 2 Enhanced USB & Bluetooth, Head-Up Display, Wireless Charging, Gesture Control, WiFi Hotspot, FRONT & REAR HEATED SEATS, REMOTE ENGINE START, HEATED FRONT SEATS W/ARMRESTS & STEERING WHEEL. BMW xDrive50i with Phytonic Blue Metallic exterior and Cognac Vernasca Leather interior features a 8 Cylinder Engine with 456 HP at 5250 RPM*. MORE ABOUT US Come test drive it at BMW of Bridgeport - Connecticut's largest volume Certified Pre-Owned BMW Center. In 2011 we were thrilled to be the only BMW Center in all of New England to be awarded by BMW of North America as a ''Center of Excellence''. Now we're the only 4-time winner, as we have done it again for 2012, 2013 and 2015! Come see for yourself - ''What's different in Bridgeport?'' *Prices are inclusive of all incentives. Navigation, Moonroof, Heated Seats, Power Liftgate, All Wheel Drive, Blind Spot Monitor, Cross-Traffic Alert, Smart Device Integration, harman/kardon SURROUND SOUND SYSTEM, DRIVING ASSISTANCE PROFESSIONAL PACKA. HEATED FRONT SEATS W/ARMRESTS & STEER. MULTI-CONTOUR SEATS, FRONT & REAR HEATED SEATS, Back-Up Camera, Panoramic Roof, Turbo Charged, M SPORT PACKAGE, PREMIUM PACKAGE 2. Carbon Black Metallic exterior and Coffee Vernasca Leather interior, xDrive40i trim. KEY FEATURES INCLUDE Navigation, Back-Up Camera, Panoramic Roof, All Wheel Drive, Power Liftgate, Blind Spot Monitor OPTION PACKAGES M SPORT PACKAGE Adaptive M Suspension, Shadowline Exterior Trim, High-Gloss Shadowline Roof Rails, Aluminum Tetragon Interior Trim, SiriusXM Satellite Radio w/1 Year All Access, M Sport Package (337), Wheels: 20 x 9 M Star-Spoke Bi-Color (Style 740M), Tires: P275/45R20 Run-Flat AS, Comfort Access Keyless Entry, 4-Zone Automatic Climate Control, Without Lines Designation Outside, Aerodynamic Kit, M Steering Wheel, DRIVING ASSISTANCE PROFESSIONAL PACKAGE ACC w/stop and go, Active Lane Keeping Assistant w/side collision avoidance, steering and Traffic Jam Assistant, Automatic Lane Change, Evasion Assistant and cross-traffic alert front, Extended Traffic Jam Assistant For limited access highways, Active Driving Assistant Pro, PREMIUM PACKAGE 2 Enhanced USB & Bluetooth, Head-Up Display, Wireless Charging, Gesture Control, WiFi Hotspot, MULTI-CONTOUR SEATS, HEATED FRONT SEATS W/ARMRESTS & STEERING WHEEL. OUR OFFERINGS Come test drive it at BMW of Bridgeport - Connecticut's largest volume Certified Pre-Owned BMW Center. What's different in Bridgeport? We go above and beyond in Hospitality, Service and Reconditioning our Pre-Owned BMW's. Experience it for yourself. 5 Time and the only Connecticut winner of BMW ''Center of Excellence''. Look us up on DealerRater.com *Prices are inclusive of all incentives. NAV, Sunroof, Heated Seats, Power Liftgate, All Wheel Drive, Cross-Traffic Alert, Smart Device Integration, Panoramic Roof, HEATED FRONT SEATS W/ARMRESTS & STEER. M SPORT PACKAGE, TRAILER HITCH - 7,200 LB TOWING LIMIT. MULTI-CONTOUR SEATS, PREMIUM PACKAGE 2, Back-Up Camera, Turbo, EXECUTIVE PACKAGE, Tow Hitch. Phytonic Blue Metallic exterior and Tartufo Ext Merino Leather interior, xDrive40i trim. KEY FEATURES INCLUDE Navigation, Blind Spot Monitor Rear Spoiler, Turbocharged, iPod/MP3 Input, Onboard Communications System. OPTION PACKAGES M SPORT PACKAGE Adaptive M Suspension, Shadowline Exterior Trim, High-Gloss Shadowline Roof Rails, Aluminum Tetragon Interior Trim, SiriusXM Satellite Radio w/1 Year All Access, M Sport Package (337), Wheels: 20 x 9 M Star-Spoke Bi-Color (Style 740M), Tires: P275/45R20 Run-Flat AS, Comfort Access Keyless Entry, 4-Zone Automatic Climate Control, Without Lines Designation Outside, Aerodynamic Kit, M Steering Wheel, EXECUTIVE PACKAGE Rear Manual Side Window Shades, Heated & Cooled Cup Holders, Soft-Close Automatic Doors, Remote Engine Start, Icon Adaptive LED Headlights w/Laserlight, PREMIUM PACKAGE 2 Enhanced USB & Bluetooth, Head-Up Display, Wireless Charging, Gesture Control, WiFi Hotspot, MULTI-CONTOUR SEATS, TRAILER HITCH - 7,200 LB TOWING LIMIT, HEATED FRONT SEATS W/ARMRESTS & STEERING WHEEL. EXPERTS RAVE Great Gas Mileage: 26 MPG Hwy. WHO WE ARE Come test drive it at BMW of Bridgeport - Connecticut's largest volume Certified Pre-Owned BMW Center. What's different in Bridgeport? We go above and beyond in Hospitality, Service and Reconditioning our Pre-Owned BMW's. Experience it for yourself. 5 Time and the only Connecticut winner of BMW ''Center of Excellence''. Look us up on DealerRater.com *Prices are inclusive of all incentives. NAV, Heated Seats, Sunroof, Smart Device Integration, Cross-Traffic Alert, Blind Spot Monitor, Power Liftgate, M SPORT PACKAGE, PREMIUM PACKAGE 2, REMOTE ENGINE START, HEATED FRONT SEATS W/ARMRESTS & STEER. Panoramic Roof, All Wheel Drive, Turbo, Back-Up Camera. xDrive40i trim, Arctic Grey Metallic exterior and Black Vernasca Leather interior. KEY FEATURES INCLUDE Navigation, Back-Up Camera, Panoramic Roof Rear Spoiler, Turbocharged, iPod/MP3 Input, Onboard Communications System. OPTION PACKAGES M SPORT PACKAGE Adaptive M Suspension, Shadowline Exterior Trim, High-Gloss Shadowline Roof Rails, Aluminum Tetragon Interior Trim, SiriusXM Satellite Radio w/1 Year All Access, M Sport Package (337), Wheels: 20 x 9 M Star-Spoke Bi-Color (Style 740M), Tires: P275/45R20 Run-Flat AS, Comfort Access Keyless Entry, 4-Zone Automatic Climate Control, Without Lines Designation Outside, Aerodynamic Kit, M Steering Wheel, PREMIUM PACKAGE 2 Enhanced USB & Bluetooth, Head-Up Display, Wireless Charging, Gesture Control, WiFi Hotspot, HEATED FRONT SEATS W/ARMRESTS & STEERING WHEEL. BMW xDrive40i with Arctic Grey Metallic exterior and Black Vernasca Leather interior features a Straight 6 Cylinder Engine with 335 HP at 5500 RPM*. EXPERTS RAVE Great Gas Mileage: 26 MPG Hwy. MORE ABOUT US Come test drive it at BMW of Bridgeport - Connecticut's largest volume Certified Pre-Owned BMW Center. What's different in Bridgeport? We go above and beyond in Hospitality, Service and Reconditioning our Pre-Owned BMW's. Experience it for yourself. 5 Time winner BMW ''Center of Excellence''. Look us up on DealerRater.com *Prices are inclusive of all incentives. Moonroof, Nav System, Heated Seats, Power Liftgate, All Wheel Drive, Smart Device Integration, Blind Spot Monitor, Cross-Traffic Alert, FRONT & REAR HEATED SEATS , HEATED FRONT SEATS W/ARMRESTS & STEER. SPORT SEATS , REMOTE ENGINE START , WHEELS: 20 X 9 V-SPOKE (STYLE 738), Panoramic Roof, Turbo Charged Engine, PARKING ASSISTANCE PACKAGE, CONVENIENCE PACKAGE, PREMIUM PACKAGE 2. Alpine White exterior and Cognac Vernasca Leather interior, xDrive40i trim. KEY FEATURES INCLUDE Navigation, All Wheel Drive, Power Liftgate, Cross-Traffic Alert, Blind Spot Monitor, Smart Device Integration Rear Spoiler, Sunroof, Turbocharged, iPod/MP3 Input, Onboard Communications System. OPTION PACKAGES PREMIUM PACKAGE 2 Enhanced USB & Bluetooth, Head-Up Display, Wireless Charging, Gesture Control, WiFi Hotspot, CONVENIENCE PACKAGE 4-Zone Automatic Climate Control, SiriusXM Satellite Radio w/1 Year All Access, Comfort Access Keyless Entry, PARKING ASSISTANCE PACKAGE Rear View Camera, Surround View w/3D View, Parking Assistant Plus, WHEELS: 20 X 9 V-SPOKE (STYLE 738) Tires: P275/45R20 Run-Flat AS, FRONT & REAR HEATED SEATS, REMOTE ENGINE START, HEATED FRONT SEATS W/ARMRESTS & STEERING WHEEL, SPORT SEATS (STD). EXPERTS ARE SAYING Edmunds.com's review says The ride is comfortable yet composed and manages to deal with most road surfaces without disturbing the passengers. The cabin is well-insulated from noise, too.. Great Gas Mileage: 26 MPG Hwy. WHY BUY FROM US Come test drive it at BMW of Bridgeport - Connecticut's largest volume Certified Pre-Owned BMW Center. What's different in Bridgeport? We go above and beyond in Hospitality, Service and Reconditioning our Pre-Owned BMW's. Experience it for yourself. 5 Time and the only Connecticut winner of BMW ''Center of Excellence''. Look us up on DealerRater.com *Prices are inclusive of all incentives. Navigation, Sunroof, Heated Seats, Panoramic Roof, All Wheel Drive, Blind Spot Monitor, Smart Device Integration, Power Liftgate, Cross-Traffic Alert, SPORT SEATS , FRONT & REAR HEATED SEATS , WHEELS: 20 X 9 V-SPOKE (STYLE 738), REMOTE ENGINE START, HEATED FRONT SEATS W/ARMRESTS & STEER. Turbo Charged, Back-Up Camera, CONVENIENCE PACKAGE, PREMIUM PACKAGE 2. xDrive40i trim, Arctic Grey Metallic exterior and Coffee Vernasca Leather interior. KEY FEATURES INCLUDE Navigation, Panoramic Roof, All Wheel Drive, Power Liftgate, Cross-Traffic Alert, Blind Spot Monitor, Smart Device Integration. Rear Spoiler, Sunroof, Turbocharged, iPod/MP3 Input, Onboard Communications System. OPTION PACKAGES PREMIUM PACKAGE 2 Enhanced USB & Bluetooth, Head-Up Display, Wireless Charging, Gesture Control, WiFi Hotspot, CONVENIENCE PACKAGE 4-Zone Automatic Climate Control, SiriusXM Satellite Radio w/1 Year All Access, Comfort Access Keyless Entry, WHEELS: 20 X 9 V-SPOKE (STYLE 738) Tires: P275/45R20 Run-Flat AS, FRONT & REAR HEATED SEATS, HEATED FRONT SEATS W/ARMRESTS & STEERING WHEEL, SPORT SEATS (STD). BMW xDrive40i with Arctic Grey Metallic exterior and Coffee Vernasca Leather interior features a Straight 6 Cylinder Engine with 335 HP at 5500 RPM*. VEHICLE REVIEWS Edmunds.com explains The ride is comfortable yet composed and manages to deal with most road surfaces without disturbing the passengers. The cabin is well-insulated from noise, too.. Great Gas Mileage: 26 MPG Hwy. WHO WE ARE Come test drive it at BMW of Bridgeport - Connecticut's largest volume Certified Pre-Owned BMW Center. What's different in Bridgeport? We go above and beyond in Hospitality, Service and Reconditioning our Pre-Owned BMW's. Experience it for yourself. 5 Time and the only Connecticut winner of BMW ''Center of Excellence''. Look us up on DealerRater.com *Prices are inclusive of all incentives. Moonroof, Heated Seats, Navigation, Power Liftgate, All Wheel Drive, Smart Device Integration, Blind Spot Monitor, Cross-Traffic Alert, SPORT SEATS, FRONT & REAR HEATED SEATS, REMOTE ENGINE START, WHEELS: 20 X 9 V-SPOKE (STYLE 738), HEATED FRONT SEATS W/ARMRESTS & STEER... Turbo Charged, Panoramic Roof, CONVENIENCE PACKAGE, PARKING ASSISTANCE PACKAGE. xDrive40i trim, Black Sapphire Metallic exterior and Cognac Vernasca Leather interior. KEY FEATURES INCLUDE Navigation, Panoramic Roof, All Wheel Drive, Power Liftgate, Cross-Traffic Alert, Blind Spot Monitor, Smart Device Integration. Rear Spoiler, MP3 Player, Sunroof, Turbocharged, iPod/MP3 Input. OPTION PACKAGES CONVENIENCE PACKAGE 4-Zone Automatic Climate Control, SiriusXM Satellite Radio w/1 Year All Access, Comfort Access Keyless Entry, PARKING ASSISTANCE PACKAGE Rear View Camera, Surround View w/3D View, Parking Assistant Plus, WHEELS: 20 X 9 V-SPOKE (STYLE 738) Tires: P275/45R20 Run-Flat AS, FRONT & REAR HEATED SEATS, REMOTE ENGINE START, HEATED FRONT SEATS W/ARMRESTS & STEERING WHEEL, SPORT SEATS (STD). BMW xDrive40i with Black Sapphire Metallic exterior and Cognac Vernasca Leather interior features a Straight 6 Cylinder Engine with 335 HP at 5500 RPM*. EXPERTS ARE SAYING Great Gas Mileage: 26 MPG Hwy. MORE ABOUT US Come test drive it at BMW of Bridgeport - Connecticut's largest volume Certified Pre-Owned BMW Center. In 2011 we were thrilled to be the only BMW Center in all of New England to be awarded by BMW of North America as a ''Center of Excellence''. Now we're the only 4-time winner, as we have done it again for 2012, 2013 and 2015! Come see for yourself - ''What's different in Bridgeport?'' *Prices are inclusive of all incentives. Navigation, Moonroof, Heated Seats, Power Liftgate, All Wheel Drive, Smart Device Integration, Cross-Traffic Alert, Panoramic Roof, FRONT & REAR HEATED SEATS, HEATED FRONT SEATS W/ARMRESTS & STEER. REMOTE ENGINE START, SPORT SEATS, harman/kardon SURROUND SOUND SYSTEM, Turbo Charged, Back-Up Camera, CONVENIENCE PACKAGE, Aluminum Wheels. xDrive40i trim, Black Sapphire Metallic exterior and Cognac Vernasca Leather interior. KEY FEATURES INCLUDE Alloy Wheels, Blind Spot Monitor. Rear Spoiler, MP3 Player, Sunroof, iPod/MP3 Input. OPTION PACKAGES CONVENIENCE PACKAGE 4-Zone Automatic Climate Control, SiriusXM Satellite Radio w/1 Year All Access, Comfort Access Keyless Entry, REMOTE ENGINE START, HEATED FRONT SEATS W/ARMRESTS & STEERING WHEEL, SPORT SEATS (STD). BMW xDrive40i with Black Sapphire Metallic exterior and Cognac Vernasca Leather interior features a Straight 6 Cylinder Engine with 335 HP at 5500 RPM*. VEHICLE REVIEWS The ride is comfortable yet composed and manages to deal with most road surfaces without disturbing the passengers. The cabin is well-insulated from noise, too. -Edmunds.com. Great Gas Mileage: 26 MPG Hwy. BUY FROM AN AWARD WINNING DEALER Come test drive it at BMW of Bridgeport - Connecticut's largest volume Certified Pre-Owned BMW Center. What's different in Bridgeport? We go above and beyond in Hospitality, Service and Reconditioning our Pre-Owned BMW's. Experience it for yourself. 5 Time and the only Connecticut winner of BMW ''Center of Excellence''. Look us up on DealerRater.com *Prices are inclusive of all incentives. NAV, Sunroof, Heated Seats, Power Liftgate, All Wheel Drive, Cross-Traffic Alert, Smart Device Integration, Blind Spot Monitor, FRONT & REAR HEATED SEATS , HEATED FRONT SEATS W/ARMRESTS & STEER. SPORT SEATS , REMOTE ENGINE START , WHEELS: 20 X 9 V-SPOKE (STYLE 738), Back-Up Camera, Panoramic Roof, Turbo, CONVENIENCE PACKAGE, PREMIUM PACKAGE 2. Arctic Grey Metallic exterior and Black SensaTec interior, xDrive40i trim. KEY FEATURES INCLUDE Navigation, All Wheel Drive, Power Liftgate, Cross-Traffic Alert, Blind Spot Monitor, Smart Device Integration Rear Spoiler, Sunroof, Turbocharged, iPod/MP3 Input, Onboard Communications System. OPTION PACKAGES PREMIUM PACKAGE 2 Enhanced USB & Bluetooth, Head-Up Display, Wireless Charging, Gesture Control, WiFi Hotspot, CONVENIENCE PACKAGE 4-Zone Automatic Climate Control, SiriusXM Satellite Radio w/1 Year All Access, Comfort Access Keyless Entry, WHEELS: 20 X 9 V-SPOKE (STYLE 738) Tires: P275/45R20 Run-Flat AS, FRONT & REAR HEATED SEATS, REMOTE ENGINE START, HEATED FRONT SEATS W/ARMRESTS & STEERING WHEEL, SPORT SEATS (STD). BMW xDrive40i with Arctic Grey Metallic exterior and Black SensaTec interior features a Straight 6 Cylinder Engine with 335 HP at 5500 RPM*. EXPERTS REPORT The ride is comfortable yet composed and manages to deal with most road surfaces without disturbing the passengers. The cabin is well-insulated from noise, too. -Edmunds.com. Great Gas Mileage: 26 MPG Hwy. BUY FROM AN AWARD WINNING DEALER Come test drive it at BMW of Bridgeport - Connecticut's largest volume Certified Pre-Owned BMW Center. What's different in Bridgeport? We go above and beyond in Hospitality, Service and Reconditioning our Pre-Owned BMW's. Experience it for yourself. 5 Time and the only Connecticut winner of BMW ''Center of Excellence''. Look us up on DealerRater.com *Prices are inclusive of all incentives. Navigation, Moonroof, Heated Seats, Power Liftgate, All Wheel Drive, Smart Device Integration, Cross-Traffic Alert, FRONT & REAR HEATED SEATS, HEATED FRONT SEATS W/ARMRESTS & STEER. ALUMINUM RUNNING BOARDS, MULTI-CONTOUR SEATS, CONVENIENCE PACKAGE, Panoramic Roof, Back-Up Camera, Aluminum Wheels, Turbo Charged. Black Sapphire Metallic exterior and Coffee Vernasca Leather interior, xDrive40i trim. KEY FEATURES INCLUDE Alloy Wheels, Blind Spot Monitor. Rear Spoiler, MP3 Player, Sunroof, Turbocharged, iPod/MP3 Input. OPTION PACKAGES CONVENIENCE PACKAGE 4-Zone Automatic Climate Control, SiriusXM Satellite Radio w/1 Year All Access, Comfort Access Keyless Entry, ALUMINUM RUNNING BOARDS, HEATED FRONT SEATS W/ARMRESTS & STEERING WHEEL. BMW xDrive40i with Black Sapphire Metallic exterior and Coffee Vernasca Leather interior features a Straight 6 Cylinder Engine with 335 HP at 5500 RPM*. EXPERTS RAVE Edmunds.com's review says The ride is comfortable yet composed and manages to deal with most road surfaces without disturbing the passengers. The cabin is well-insulated from noise, too.. Great Gas Mileage: 26 MPG Hwy. 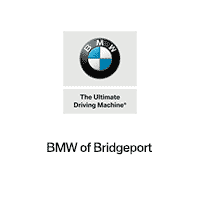 VISIT US TODAY Come test drive it at BMW of Bridgeport - Connecticut's largest volume Certified Pre-Owned BMW Center. What's different in Bridgeport? We go above and beyond in Hospitality, Service and Reconditioning our Pre-Owned BMW's. Experience it for yourself. 5 Time and the only Connecticut winner of BMW ''Center of Excellence''. Look us up on DealerRater.com *Prices are inclusive of all incentives. Heated Seats, Navigation, Moonroof, All Wheel Drive, Power Liftgate, Panoramic Roof, HEATED FRONT SEATS W/ARMRESTS & STEER... SPORT SEATS, REMOTE ENGINE START, CONVENIENCE PACKAGE, Turbo Charged, Aluminum Wheels, PARKING ASSISTANCE PACKAGE. Phytonic Blue Metallic exterior and Black Vernasca Leather interior, xDrive40i trim. KEY FEATURES INCLUDE Navigation, Panoramic Roof, All Wheel Drive, Power Liftgate, Alloy Wheels. Rear Spoiler, MP3 Player, Sunroof, Turbocharged, iPod/MP3 Input. OPTION PACKAGES CONVENIENCE PACKAGE 4-Zone Automatic Climate Control, SiriusXM Satellite Radio w/1 Year All Access, Comfort Access Keyless Entry, PARKING ASSISTANCE PACKAGE Rear View Camera, Surround View w/3D View, Parking Assistant Plus, REMOTE ENGINE START, HEATED FRONT SEATS W/ARMRESTS & STEERING WHEEL, SPORT SEATS (STD). BMW xDrive40i with Phytonic Blue Metallic exterior and Black Vernasca Leather interior features a Straight 6 Cylinder Engine with 335 HP at 5500 RPM*. MORE ABOUT US Come test drive it at BMW of Bridgeport - Connecticut's largest volume Certified Pre-Owned BMW Center. In 2011 we were thrilled to be the only BMW Center in all of New England to be awarded by BMW of North America as a ''Center of Excellence''. Now we're the only 4-time winner, as we have done it again for 2012, 2013 and 2015! Come see for yourself - ''What's different in Bridgeport?'' *Prices are inclusive of all incentives. Sunroof, Heated Seats, NAV, Cross-Traffic Alert, Power Liftgate, Smart Device Integration, Blind Spot Monitor, HEATED FRONT SEATS W/ARMRESTS & STEER. CONVENIENCE PACKAGE, REMOTE ENGINE START, SPORT SEATS, Alloy Wheels, All Wheel Drive, Panoramic Roof, Turbo, Back-Up Camera. Phytonic Blue Metallic exterior and Black Vernasca Leather interior, xDrive40i trim. KEY FEATURES INCLUDE Navigation, Back-Up Camera Rear Spoiler, MP3 Player, Turbocharged, iPod/MP3 Input. OPTION PACKAGES CONVENIENCE PACKAGE 4-Zone Automatic Climate Control, SiriusXM Satellite Radio w/1 Year All Access, Comfort Access Keyless Entry, HEATED FRONT SEATS W/ARMRESTS & STEERING WHEEL, SPORT SEATS (STD). BMW xDrive40i with Phytonic Blue Metallic exterior and Black Vernasca Leather interior features a Straight 6 Cylinder Engine with 335 HP at 5500 RPM*. VEHICLE REVIEWS The ride is comfortable yet composed and manages to deal with most road surfaces without disturbing the passengers. The cabin is well-insulated from noise, too. -Edmunds.com. Great Gas Mileage: 26 MPG Hwy. OUR OFFERINGS Come test drive it at BMW of Bridgeport - Connecticut's largest volume Certified Pre-Owned BMW Center. What's different in Bridgeport? We go above and beyond in Hospitality, Service and Reconditioning our Pre-Owned BMW's. Experience it for yourself. 5 Time and the only Connecticut winner of BMW ''Center of Excellence''. Look us up on DealerRater.com *Prices are inclusive of all incentives. Sunroof, Heated Seats, NAV, Cross-Traffic Alert, Power Liftgate, Smart Device Integration, Blind Spot Monitor, HEATED FRONT SEATS W/ARMRESTS & STEER... CONVENIENCE PACKAGE, REMOTE ENGINE START, SPORT SEATS, Alloy Wheels, All Wheel Drive, Panoramic Roof, Turbo, Back-Up Camera. Jet Black exterior and Cognac Vernasca Leather interior, xDrive40i trim. KEY FEATURES INCLUDE Navigation, Back-Up Camera, Panoramic Roof, All Wheel Drive, Power Liftgate, Alloy Wheels, Cross-Traffic Alert, Blind Spot Monitor, Smart Device Integration Rear Spoiler, MP3 Player, Sunroof, Turbocharged, iPod/MP3 Input. OPTION PACKAGES CONVENIENCE PACKAGE 4-Zone Automatic Climate Control, SiriusXM Satellite Radio w/1 Year All Access, Comfort Access Keyless Entry, REMOTE ENGINE START, HEATED FRONT SEATS W/ARMRESTS & STEERING WHEEL, SPORT SEATS (STD). BMW xDrive40i with Jet Black exterior and Cognac Vernasca Leather interior features a Straight 6 Cylinder Engine with 335 HP at 5500 RPM*. MORE ABOUT US Come test drive it at BMW of Bridgeport - Connecticut's largest volume Certified Pre-Owned BMW Center. In 2011 we were thrilled to be the only BMW Center in all of New England to be awarded by BMW of North America as a ''Center of Excellence''. Now we're the only 4-time winner, as we have done it again for 2012, 2013 and 2015! Come see for yourself - ''What's different in Bridgeport?'' *Prices are inclusive of all incentives.